A replica of the Janome Magnolia 7330 but without the pretty Magnolia graphics, the Janome 8077 combines a lot of sewer friendly features in a wonderful, easy-to-use and affordable sewing machine. 15 possible needle positions along with 30 built in stitches with their length adjustable to 5 mm and width adjustable to 7mm makes for a slew of stitching options. 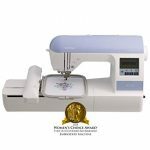 Stitch selection of the Janome 8077 includes basic utility and garment construction stitches, quilting stitches and decorative stitches along with a six styles of 1-step buttonholes. Top thread tension can be regulated according to the sewing project. Easy to follow threading guidelines and automatic needle threader makes it easier than ever to get the thread from spool to needle and then to get the thread through the eye of the needle. Automatic bobbin winder stops when the bobbin has reached full capacity and the see-through bobbin cover allows you to see whether or not there is enough thread in the bobbin for your sewing project. Drop-in, jam-proof bobbin top-loading system automatically pulls up the bobbin thread for you so there is zero risk of the thread bunching up when you start sewing. Horizontal top thread delivery delivers thread more smoothly and also helps reduce thread breakage. 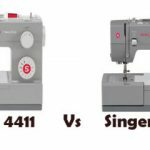 User friendly push button controls making sewing with this Janome computerized sewing machine a snap! The Start/Stop button allows you to sew with the push of a button. There’s no need to use the foot machine. Needle Up/Down button helps you maneuver tight corners. The Reverse button is conveniently located for easy reverse sewing and the Auto Lock button takes care of tying up your stitches when you are done. The speed control slider helps you keep the maximum sewing speed at level that is comfortable for you. A bright LED light over the needle throws much needed light on your sewing. Free arm sewing makes it easy to sew hard to reach surfaces such as collars and cuffs. 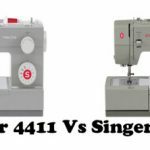 The four snap-on presser feet – general sewing, automatic buttonhole, satin stitch and zipper feet- have 3 height settings. 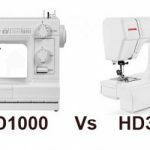 These include the standard ‘down’ position for general sewing, ‘up’ position for inserting or removing your fabrics and ‘extra high up’ position for working with multiple layers of heavy weight fabric. Sturdy and with lots of user friendly features, the Janome 8077 is a great mid-range machine. 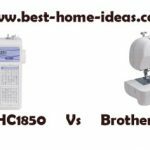 The easy threading, needle up/down memory button, speed control slider, automatic needle threader and great selection of stitches are all excellent features that anyone would want in a sewing machine. The pressure foot cannot be adjusted but that’s a minor fault in an otherwise flawless machine. 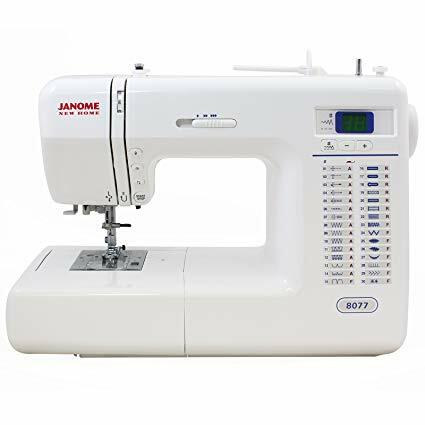 If you are looking for a fuss-free, moderately priced, high quality sewing machine, the Janome 8077 computerized sewing machine fits the bill perfectly!